The document management system has been in the world for a longtime; perhaps not in a technologically advanced perspective but in a manner that helped in the organizing, indexing and managing of paper based documents. Here is how the document management system has evolved over the course of 50 years. In 1965 the IBM System/360 came into existence which was a large mainframe computer and used hybrid circuits with the ability to perform some complex calculations. However by 1971 Illiac IV supercomputer was developed which was considered the fastest computer system at that time using quarter-million small-scale ECL logic gates. AT that time there were no complex software applications to manage documents and thus the paper based documents were managed old school. Documents were stored in large warehouses and a proper catalogue system was established. Just like in a library there are different sections and sub sections for different types of books; the same was done to store, index and retrieve the documents. In this era there were many significant advancements in computer technology and microprocessors were introduced. Still, at this time, there were no proper document management applications because computers were unable to perform complex calculations. Some general purpose records management program were introduced in 1985. Proper filing systems were established and huge warehouses were used to store tons of paper based documents. Each file was uniquely marked and categorized (Indexing, Meta) and then stored. For the retrieval process there were usually a number of record keepers who had huge journals filled with the location of the documents in a specific storage building. If you wanted to get a document you would have to ask the record keeper to retrieve it for you and then store it back once you were done. Computer technology advanced to a stage where complex calculations were possible and the era of Apple and Microsoft had started. In the early 90s Macintosh and Windows were introduced as relative operating systems with graphics based user interface. In 1985 TOWER Software introduced a records management software and in 1998 they introduced TRIM Captura which was an electronic documents and records management software. This era marked the beginning of the development of electronic document management systems. With the advancement of internet and immense accessibility options the document management software industry started to introduce complex functions whereby users were able to store more documents in digital format and access them easily throughout the world. Tons of new features evolved in the document management software that included the basics like scanning, indexing, storage and retrieval to more advanced features like audit trails, distributions, versioning and unmatched security features. The era of cloud based computing where technology advanced to new heights with processing speeds of up to 8.5 GHz and internet speeds of up to 15 Mbps. With huge data warehouses consisting of storage equaling to Exabyte’s and petabytes you can store, secure and retrieve your data within seconds. The document management systems have become a necessity in this era with almost all organizations opting for some sort of DMS application to manage their paper based documentations. 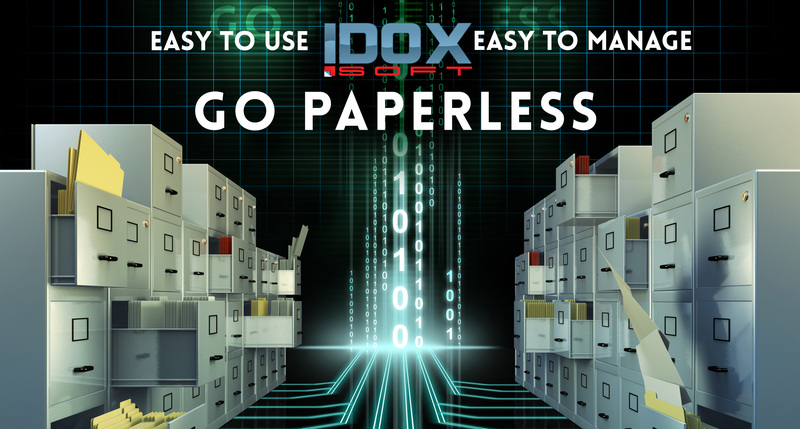 The future holds great potential for managing documents with further automated features and advanced options with user friendly interfaces and global networks to provide you access everywhere. 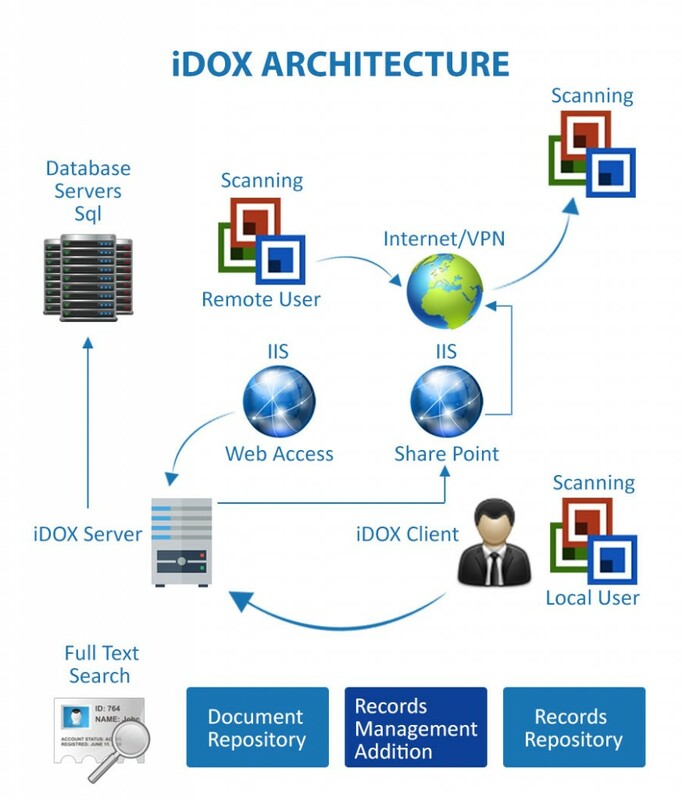 iDOX DMS was developed in 2012 and has all the major features and functions that any organization wants. For further details on iDOX simply contact us and we will get in touch with you. Document Management System evolved from the 60s and into the digital age where everything is in electronic format. 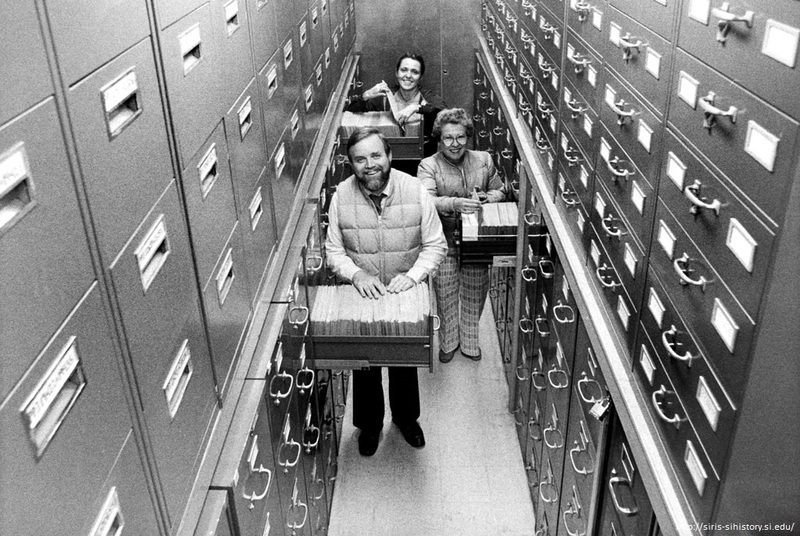 In earlier days there used to large filling rooms with hundreds of cabinets to store the paper documents and searching for them would take long hours if not days. Over the years the system evolved and cabinets were replaced with server cabinets where data was stored digitally and could be accessed anytime and anywhere from the world. Further evolution took place when cloud computing was introduced and these document management systems were available at low costs and within financial reach of many organizations. Keep updated with iDox news and latest services.